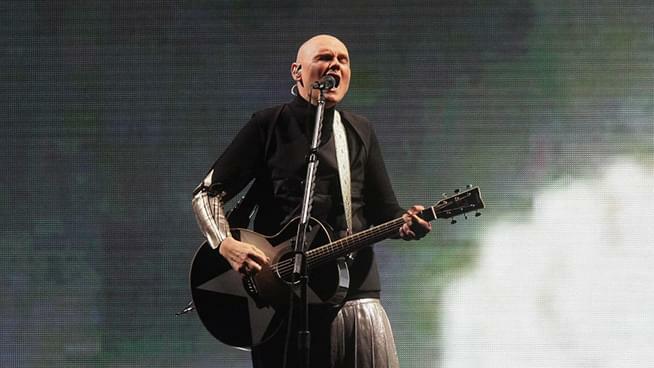 Smashing Pumpkins premiered new single “Silvery Sometime (Ghosts)” Thursday. The track marks the second new song, following “Solara,” from the recently reunited band. It will also be the band’s first album featuring Corgan, Iha, and Chamberlin together since 2000’s Machina/The Machines of God. Smashing Pumpkins recently completed a North American Tour and will soon play in Europe. The new song is set to appear on their upcoming album produced by Rick Rubin, due out mid-November. You can listen to the debut of ‘Silvery Sometime (Ghosts)’ here around the 1:52:40 mark, and hear a teaser of the track below. The song will be officially released later tonight.